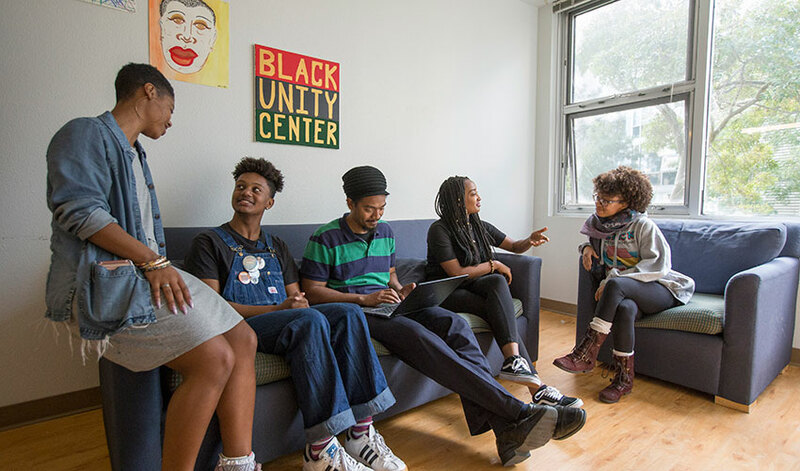 The Black Unity Center started as one of six Black Student Union Demands developed in 2015. This serves as a space for student engagement and achievement! The mission of the Center is to provide Black students, through cross-campus community collaborations and an intersectional, African-centered environment, with transformative, impactful and socially conscious programs that allow them to grow academically, interpersonally, culturally and professionally, in order to advance their recruitment, matriculation, retention and graduation.